Join the discussion on our forums! Come discuss Stone Sentinel over in our dedicated Stone Sentinel discussion topic. 4-mana 7/7 or 7-mana 4/4? You choose. Exactly what I was thinking, if the deck can even stand to play three 7-drops. This is a good card, it's spirit wolves and a 4/4 for 7. It should be critical in helping an elemental control shaman deck withstand aggro. Of course, you would want to run this card, earth elemental, spirit wolves, fire elemental, Blazecaller, Kalimos and Al' Akir along with Jinyu, storm, volcano and maelstrom portal. A card has just been printed that decapitated this one. Check out Blazecaller. 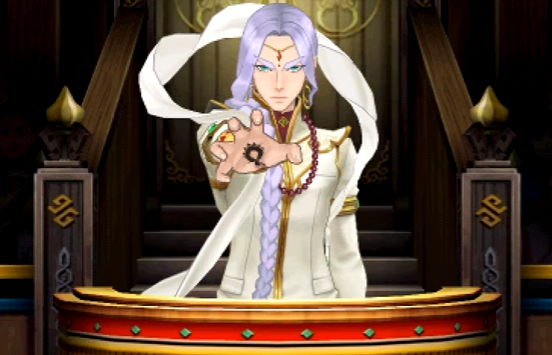 Check out the stones on that guy! 7 mana 4/4? looks like we got outmemed boys. There are better cards than this for Evolve (like Doppelgangster, for instance). Considering the tokens only have a mana cost of 2, I'd take three 6 drops over an 8 drop and two 3 drops the majority of the time. This is true, but Doppelgangster is pretty awful without Evolve, while an activated Stone Sentinel can be a good play on it's own. Plus, keep in mind that Stone Sentinel also sets up Elementals for your next turn, particularly Kalimos, Primal Lord. 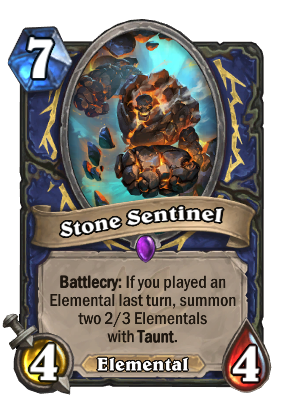 Stone Sentinel can be a good evolve target as an additional bonus to being a good elemental play. You have a very good point but personally I don't see Evolve particularly fitting into the Elemental Shaman archetype. I mean it could work, but I think it would be better running something more consistent. 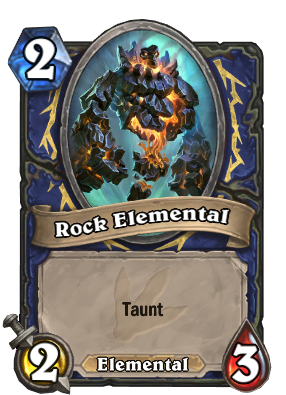 i disagree... evolve seems natural with elementals since most of them are strong battlecries with meh stats... Stone Sentinel, Kalimos, Primal Lord, Fire Elemental, Blazecaller.